Last year, I attempted to read Shari Lapena's bestselling mystery novel, The Couple Next Door. I gave up after a few chapters, not liking the style, the clichés or the enormity of the plot. 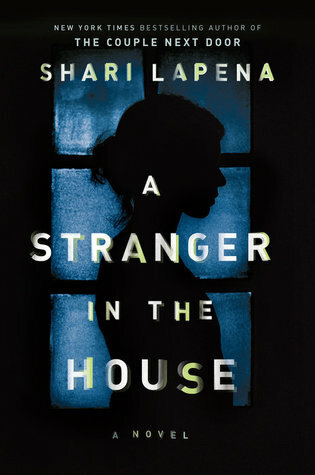 But because I enjoy suspense novels and had heard rather good things about Lapena's latest novel, A Stranger in the House, I decided to give it a go. The premise is not particularly groundbreaking, but I was captivated from the very beginning. Tom Krupp, a successful business man, returns home after a long day to find his wife missing from their perfect suburban house. He finally tracks her down at a hospital, where she was brought after a being involved in a strange car accident that she has no memory of... We soon find out that she is a person of interest in a murder. I have to be honest. While the writing didn't put me off enough to put the book away like it did the previous one, I still found it lacking in every possible way. The book is a series of clichés, plots that have been used over and over again (amnesia, new identities, etc.) and unrelatable characters. This felt like an episode of CSI: enjoyable, but unmemorable, and totally predictable. It was, however, a real page turner (I actually read it in one day - with a toddler around, that's no small feat!). It's probably a good read if you're travelling, or if you need an easy read on a busy beach this summer. * I received this copy from Penguin Random House Canada for review purposes. Thoughts and opinions are my own.